Every now and then you’ll witness a train wreck of a celebrity interview that ruins a career. From inappropriate comments and insulting their peers, to inebriation and incoherency, there are countless ways to leave a bad impression. To help you prepare to show off your best self, we’re putting together a series of short interview prep blogs with the same tips and tricks that we share with our clients. These are our top tips on what NOT to do when talking to the media. If you’re being interviewed, you are an expert in a certain subject. Most people don’t know the complexities of your brand, profession or industry. In order for audiences to get your message, you’ll want to use language that everyone understands. Speaking in layman’s terms keeps your message concise and memorable while making you appear more relatable. When you agree to an interview with a journalist, you’re agreeing to be quoted or referenced on everything that you say. If it’s not something that you want the public to know, don’t make a mention of it to the media. Remember, this counts whether you have cameras recording or not. If the journalist is in the room, you can consider yourself on air. Great journalists have the ability to make interviews feel more like a regular conversation, and this is often a good thing! Just be careful of getting too comfortable. Don’t share any anecdotes or personal stories that you wouldn’t want to see in print or on TV later. You may have heard that you can repeat a question back to the interviewer for clarity and to keep the conversation going as you come up with your answer. Don’t do this when a question is negatively charged. 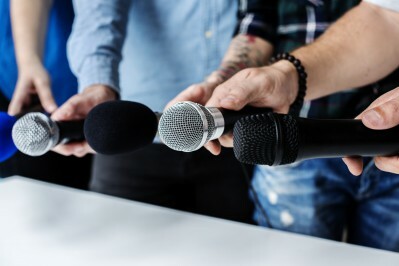 The final published or broadcasted interview is almost always cut down from the full conversation and your statement, particularly if said in respond to a negative question, could be used as the focus of the final piece, or be used out of context. Don’t begin to speculate or answer hypothetical questions. Since you’re not speaking to anything that is currently verifiable, your reputation and credibility could be put on the line if things go another way. Answers to hypothetical questions can often be polarizing for audiences and become a sensationalist headline if the topic is controversial. Tell the journalist this: “that question is completely speculative and I can’t answer that but what I can tell you is” and return your answer to one of your key messages if possible. Remember, journalists are not your enemy, but they’re not necessarily your best friend either. They’re looking for a good story, whether it’s the one that you’re pitching, or a conversation that’s going to go viral. Look out for these potential pitfalls, stick to your key messages, and keep your answers short and simple. Read part 1 of our Media Training series here: How to Prepare for Your Media Interview. Touchwood PR is a full service publicity agency that specializes in arts and entertainment. Reach out to us about publicity, promotions, sponsorship, event planning, media training and more.